Clarins Multi active Day and Night Cream. Is this a must have? I am forever searching for the perfect day and night creams. As a beauty blogger I have tried tonnes, but only ever found a few I would truely recommend. 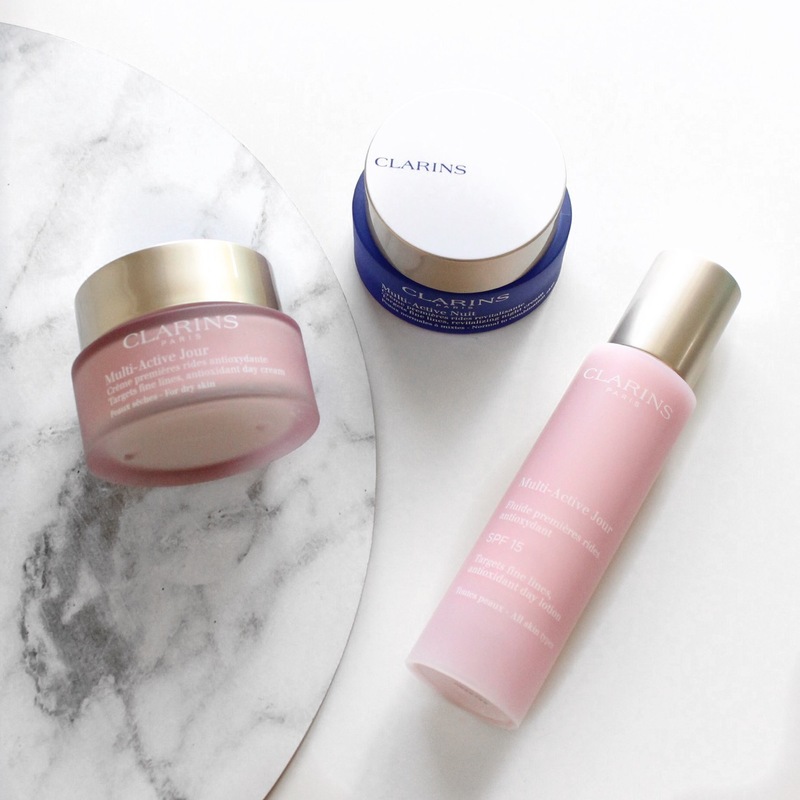 I have been trying out three products from Clarins over the last few weeks including the new multi active Day cream, Multi Active day lotion and Multi Active Night cream. The first thing I noticed with these creams is how a small amount of cream goes a long way, so keep this in mind if you have these creams or plan on getting them. I find all good quality creams have this, and I believe it is really important in a cream, especially an expensive one. So these creams are quite pricey, the day cream and lotion are $62AUD each and the night cream is $68. All three products have a sort of spicy floral smell (sorry I am terrible at describing smells) as I said before as well, go a long way and they absorb really well as well. I dont find they leave too much of an oily finish, the night cream is a bit oilier then the day cream, which is pretty common. One thing I really love about this cream is the radiance it gives my skin while using it. Even after a few days of use, I found my skin looked less pale and sickly when I woke up and more bright and fresh. Overall, I really think these creams are worth the buy, honestly I dont think you need both the day cream and the lotion, the lotion has a less oily feel so if thats something you prefer then the lotion is the better option for you. There is a few options for the day cream you can get an all skin types lotion and cream, combination gel and dry cream. The night has one for combination and dry skin which I think is a great idea for more brands to do as well. Has anyone tried this cream before? What did you think? As well guys how much do you normally spend on skincare items, do you want some budget buy ideas for skincare? 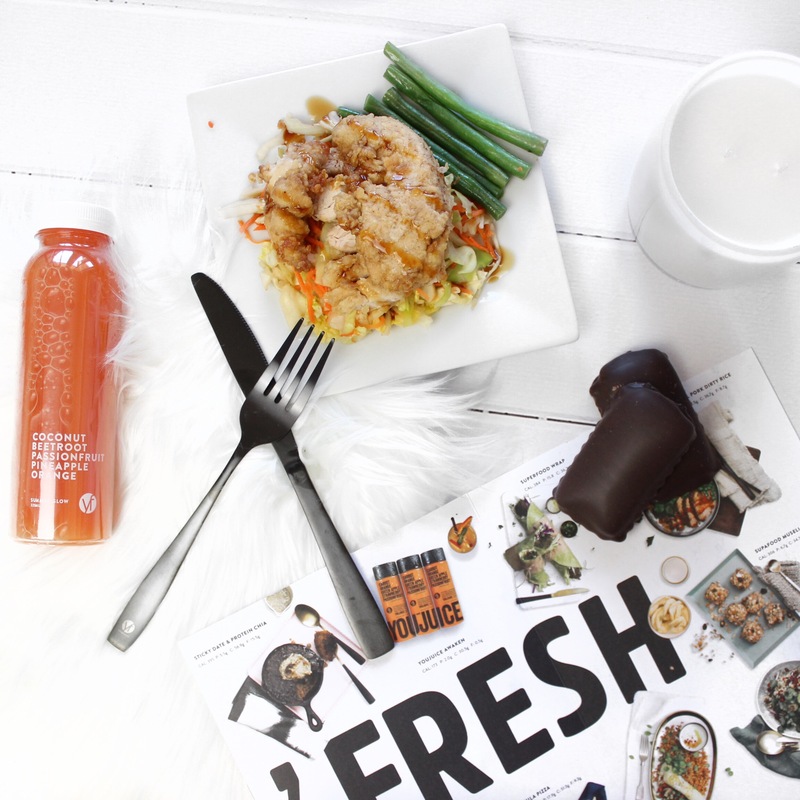 Fresh Meals 2 U Review! I was lucky enough to get to test out the meals from Fresh Meals 2 U.
I am almost finished my first week out of two and I am absolutely loving it! It is so easy just pulling a meal out of the fridge, heating it up, eating, then just chucking the container. No dishes, nothing! For breakfast I picked The big breakfast for 4 days and eggs benedict for 3 days. out of those two the eggs benedict was a definite winner. They were both really delicious but the eggs benedict was just amazing. It came with a big thick ham steak, two eggs, spinach and then the sauce, which was delicious. I was a bit bummed that the eggs weren’t runny, but it wasn’t a big deal to me. I couldnt get enough of it by the end of the week. My second week of meals is definitely going to be 7 days of eggs benedict.. Yum! For the Lunches and Dinners, so far I have tried Sweet and sour pork, super lean salmon, Angus beef and baked potato with pulled pork. The Salmon is probably my favourite, they were all really nice. They all have great serving sizes and aren’t high in calories. Out of these four, the sweet and sour pork was my least favourite, I found it was spicy, but sweet and sour pork shouldn’t be spicy. I also tried two of the Snacks; the chocolate protein balls and the raw superfood bar. The chocolate protein balls were really nice, they tasted like fudge.. YUM! The raw superfood bar wasn’t as nice; I have never really been a fan of seeds, but it was still nice. So if you guys had any questions about these meals, or questions for me. Just leave a comment and I will answer. And here is my instagram if you guys want to check it out. I post reviews as well as beauty looks, flatlays and just my everyday life. Definitely give me a follow if you have instagram I have heaps of great stuff coming.